Sold by: Concord Health Supply, Inc.
Sold by Pair Products and ships from Amazon Fulfillment. Often imitated, never duplicated. 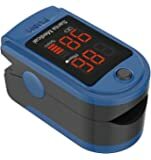 The CMS 50DL is the most popular fingertip pulse oximeter in the world, and for good reason. It's no wonder why there are countless generic brands out in the market - but why settle for anything less than the real thing? 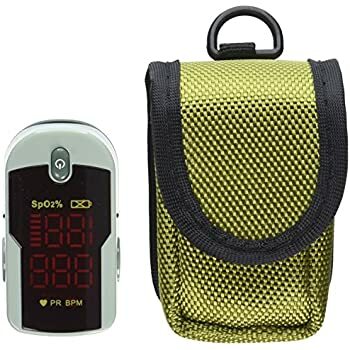 Whether you're a pilot, an athlete or someone who requires frequent oxygen saturation monitoring, the CMS-50DL is the perfect choice for on-the-go readings that fit with your lifestyle, with simple operation that allows it to turn on with the touch of a button, and a small size coupled with a soft carrying case makes it a great travel companion that can be taken anywhere. 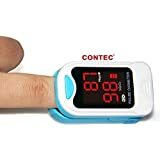 This fingertip pulse oximeter is designed for sports and aviation use, and is not a medical device. 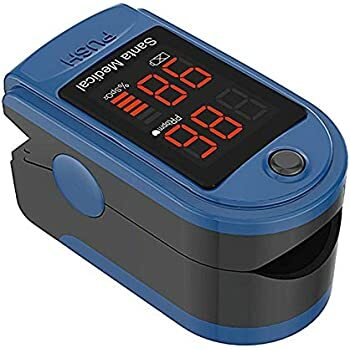 This Fingertip Pulse Oximeter Model CMS-50DL is an oximeter designed to provide an easy and accurate way for spot-checking your blood oxygen saturation levels and pulse rate with an accuracy of +- 1%. SPO2 Range: 0% - 99%. 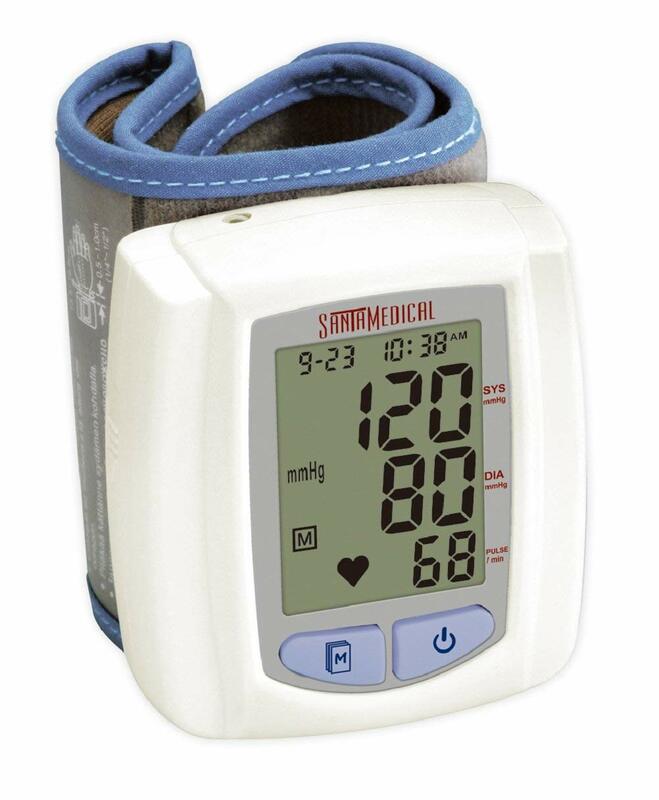 Pulse Rate Range: 30-250 bpm. Pulse Rate Resolution: +- 1bpm. 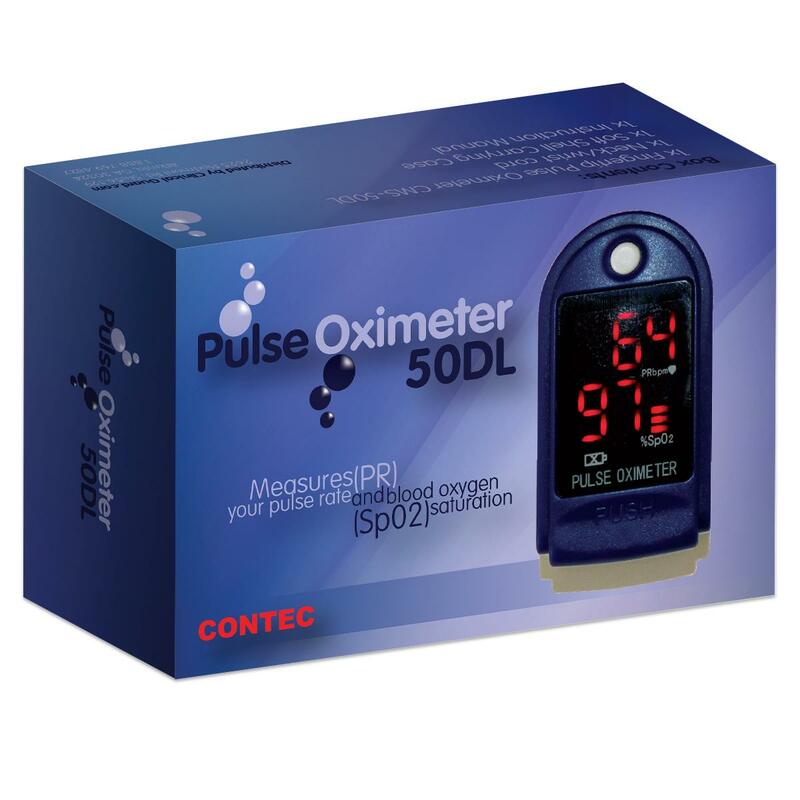 Measurement Performance: Oxyhemoglobin/Pulse value is accuratel when pulse-filling rate is 0.4%. Deviation is smaller than +- 1 % when measured in natural indoor lighting conditions. 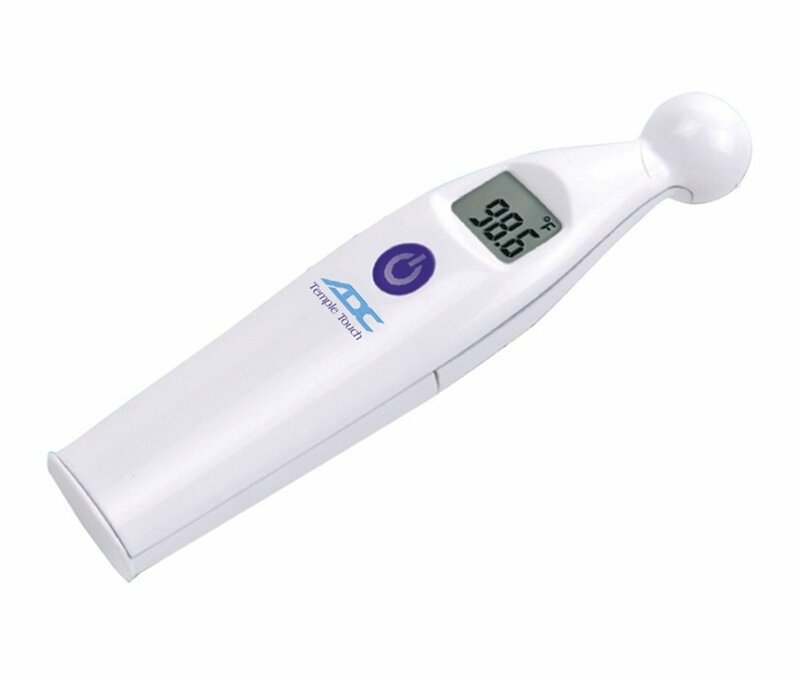 The bright LED display allows use in low light. This bright display is viewable in any environment - from dark surroundings to bright sunlight. 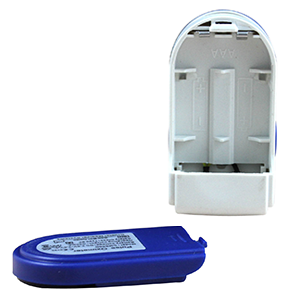 The quick snap-off cover allows for an easy removal batteries and takes screws out of the equation. (Uses 2 AAA Alkaline Batteries) You will see a 'Low Battery' indicator to signal you to replace your batteries. 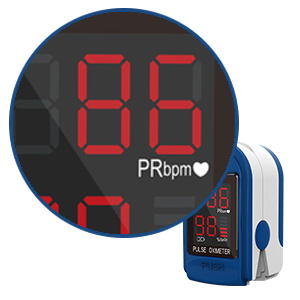 The pulse oximeter will automatically shut off after 5 seconds without use. Great for saving your battery life. 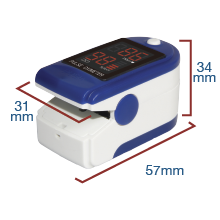 The small size of the oximeter makes it easy for you to carry around in your everyday life. 57 x 31 x 34 millimeter. 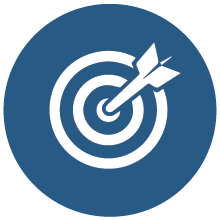 The gold standard for accuracy. SP02 Accuracy is +- 1% (70-99%) Pulse Rate Accuracy is +- 1 bpm. 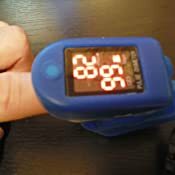 The 45 degree adjustable springed hinge allows the pulse oximeter to adjust to any adult sized finger. This hinge also helps prevent interference from ambient light. High quality silicon probe is completely hypoallergenic and latex free. 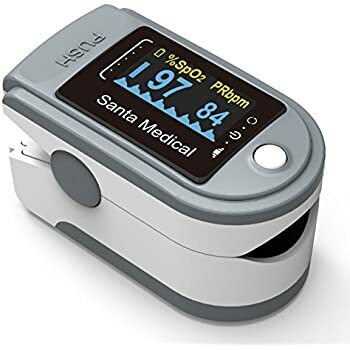 The Fingertip Pulse Oximeter Model CMS-50DL designed to provide an easy and accurate way for spot-checking your blood oxygen saturation levels and pulse rate. 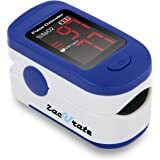 Whether you're a pilot, an athlete and want frequent oxygen saturation monitoring, this oximeter is the perfect choice for on-the-go readings that fit with your lifestyle, with simple operation that allows it to turn on with the touch of a button, and a small size coupled with a soft carrying case makes it a great travel companion that can be taken anywhere. 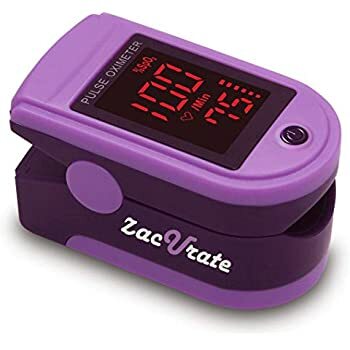 This oximeter is designed for sports and aviation use, and is not a medical device. when the polarity of the batteries are adjusted properly the item would work without any issues. standard warnings about limiting the eyes exposure to infrared light applies. 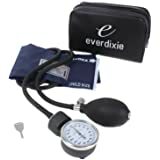 I am an intensive care nurse and have worked with many types of pulse ox devices. 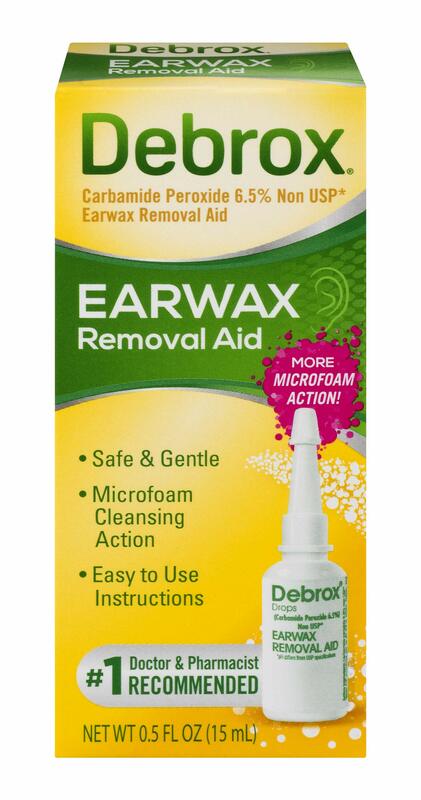 This one is a great product. 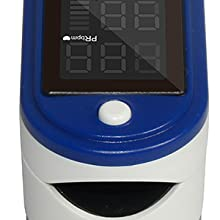 The digital read out even shows the pleth to let you know how accurate a reading you are getting. I purchased this to help monitor my children at home whom both have had breathing problems. It is easy to use. Comes with everything you need to get started too!! 1.0 out of 5 starsResults not reliable and completely inconsistent. No orientation change feature. Regretably having lived at high altitude for many years and having had an issue with low blood oxygen saturations I have had several pulse oximeters in the last 20 years. 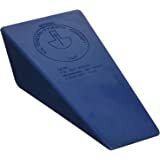 While not an issue now at sea level, I did need one for accurately checking pulse during work outs. I am very familiar with what my average stats are, particularly my heart rate. 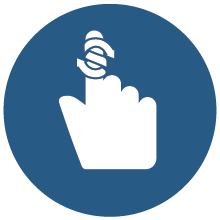 While there may be slight variation between readings on the left and right hand, there should not be much of any between the middle finger and pointer or ring finger on the SAME hand. Initially checked this on the left hand middle came up with a reading of O2 that was in the low 80s and pulse in the mid 90s. 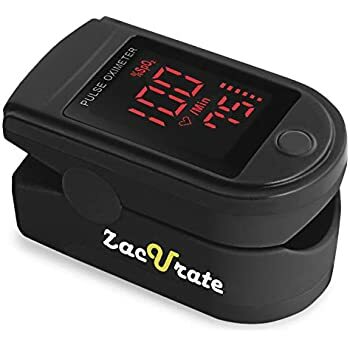 As I know my resting pulse rate is always between 60 to 70, I immediately moved the device over to the next finger where the readings came out with O2 in the mid 90s and heart rate in the low 60s. 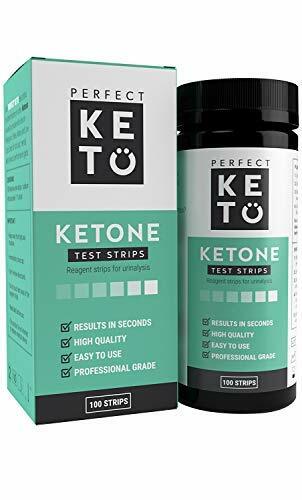 I tried several more times over the course of an hour and consistently got readings taken at the same time under the same conditions which were so far apart that it confirmed this device simply does not work and should not be trusted for accurate results. In terms of features the results can only be read from one direction, which is not a big deal for me as I am very familiar with these devices but having had ones in the past where like a phone or tablet the orientation changes based on how the device is being looked at, this is a feature which most people would far prefer. Maybe I got a dud, but where there is one rotten apple there is typically others. 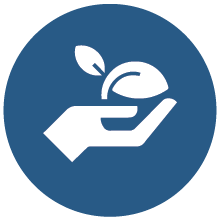 3.0 out of 5 stars1st Generation CMS 50-DL -Good, but could use improvements. I purchased this pulse oximeter because I was in a car accident and when I was doing physical therapy this is what the therapist used to check my heart rate. I also noticed this type of unit being used in the hospital and clinics when I have visited. I like that it is small and travels well. The packaging is good with interior cushioning from open cell foam. The silicone cover is less than desirable. It is a one piece with a hinge that covers the top and bottom of the oximeter. The bottom piece is not tight enough on the unit and falls off constantly when I try to use it. The neck lanyard is fairly short (about 12 inches) but I like the fact that it has a clip to remove the oximeter from the lanyard. The manual is fairly easy to read but is written with broken English which results in some humorous and/or unintentional phrasing. 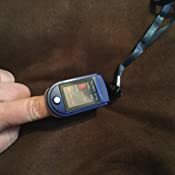 I thought the clip springs are a bit weak and it feels like the oximeter could fall off the finger when put to a persons side quickly but is comfortable to use. The reading on the screen faces away from the user. To read the results you must turn your finger towards you, which is a bit awkward. 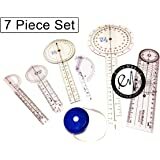 This could be better used for a practitioner taking a reading but less useful for personal use. 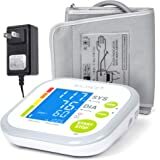 The price is right at $19.65 (originally $69.99) but there is a 2nd generation model that goes for over 1 dollar cheaper that has improvements to the above features. Package was sufficient. 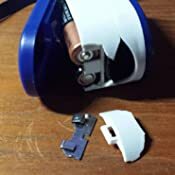 The item also comes with 2 AAA batteries - I did not use these batteries - I chose to use fresh ones that I had just purchased. The display is up-side-down if you are checking it for yourself - which makes it a little difficult to read - but not a game ender. Easy to use - put your finger in and push the button. Unit will self-power off after a few idle seconds. Appears to function as advertised. 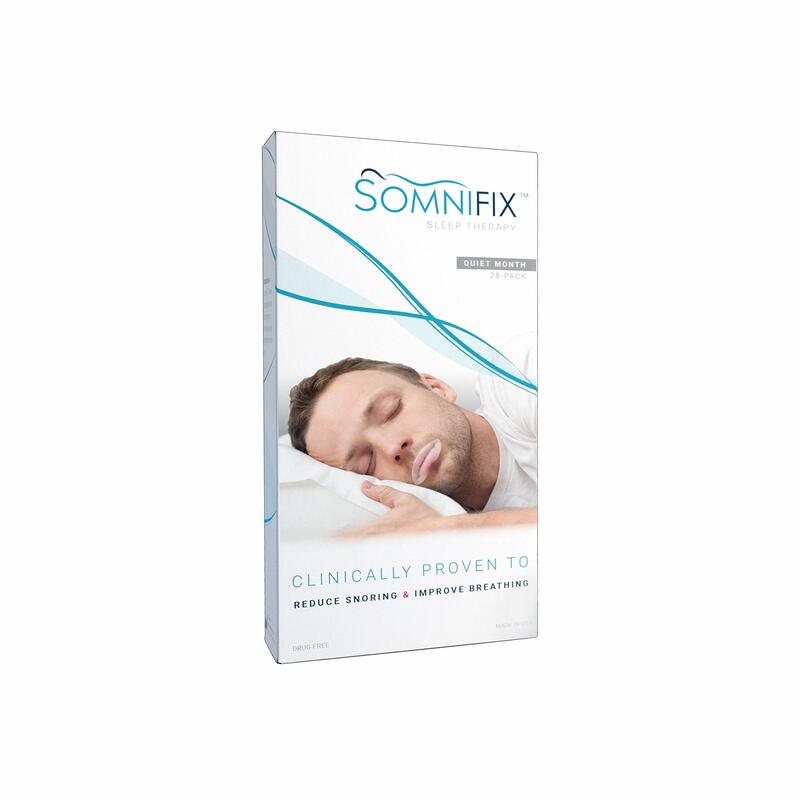 - Very inexpensive but reliable. 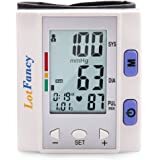 I have compared this unit to devices used in the hospital - very close every time. I am very satisfied with my purchase. This is a unit for my mother who has COPD. She needs to be very aware of what her O2 level is at all times. I have weaned her off of using O2 as a supplement and would like to keep it that way. This device has worked, but the plastic case is too fragile. 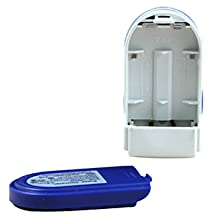 The pressure of the battery springs breaks out a piece of the plastic case, breaking out the jumper that connects the two batteries together. After some months, it is now broken completely away, although the device still works when reassembled and taped back together. 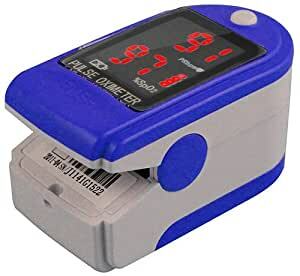 Sad that the low-technology part of this device doesn't stand up for the complicated bits that measure accurately oxygen saturation and pulse rate. 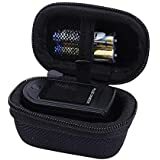 I'd recommend that you pick out a model with a different case design - Amazon has several models that are using this defective case. 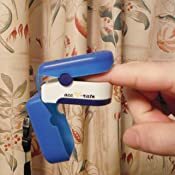 If you've already purchased this device, I'd recommend that you reinforce the area with low-stretch, high-strength tape, such as Scotch Filament Tape 893 Clear, 9 mm x 55 m (Pack of 1), to prevent it breaking apart as mine already has - see the attached photo - place a continuous piece all the way around to relieve the stress on the weak plastic. 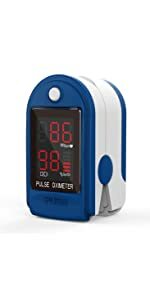 As others have noted, this design orients the display away from the patient, which is appropriate if you're administering this to another person, but frustrating for self-use.